Darkside Media is a small agile agency consisting of 3 developers, 1 project manager and a design team spread around the country. We specialize in web development. Chris is as passionate about the Internet as anyone and has had his head in the web for the past 15 years. 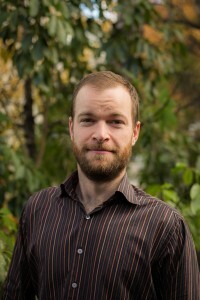 He is formally trained in Computer Science and holds a Bachelor of Science from Otago University. Chris has a wealth of web knowledge having built numerous large scale web applications in the last 10 years. Chris is the primary project manager for web work and deals with day to day client needs. He is the person on the other end of the phone! Sarah brings the business sense to Darkside, with a long management history within the tourism sector. Sarah holds a Bachelor of Tourism (Hons) from Otago University as well as a Masters of Entrepreneurship, giving her more letters after her name than any of us.